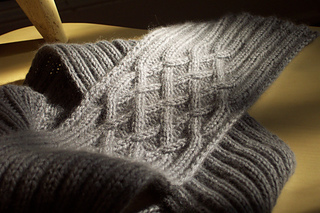 Cables in cashmere, what could be better! Envelop yourself in luxury by knitting this scarf or wrap in DK weight cashmere. 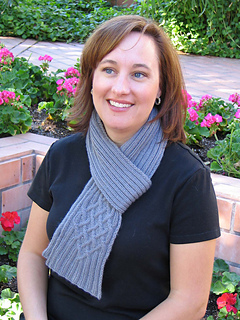 The woven cable motif grows naturally out of 2x2 ribbing; simple, yet elegant. 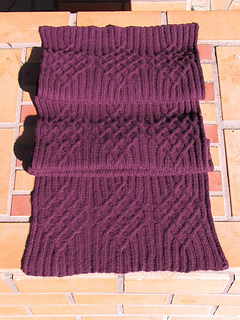 This pattern includes instructions for the Scarf AND the Wrap. Stitches Used: knit, purl, slip with yarn in front, slip with yarn in back, c2 over 1 left purl background, c2 over 1 right purl background, c2 over 2 right, c2 over 2 left. Other Details: The scarf is knit from one short end to the other, with a diamond motif on each end with 2×2 ribbing in between. 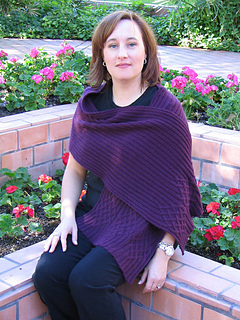 The wrap is knit from one short end to the other but has 3 repeats of the motif across the width. On the wrap, the triple cable diamond motif is repeated three times along the length of the wrap, so that one motif sits right between your shoulder blades when you wear it.